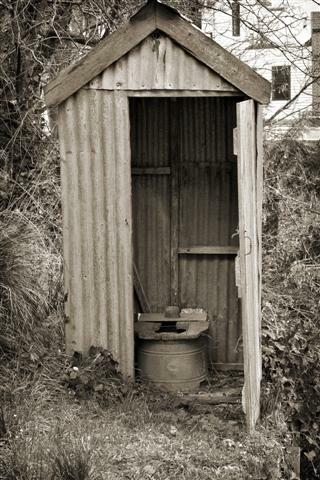 The traditional Aussie outdoor dunny. Image taken at Walhalla fire station, Victoria, Australia. What more can one say, … a picture says a thousand words. I used a telephoto lens so I didn’t have to get too close to this one. This entry was posted on July 16, 2008 by Jim Worrall. It was filed under bush walking and was tagged with outdoor dunny, Walhalla. That’s a funky looking pit toilet! Attractively creepy!